Whilst we specialise in building work we have a great team of trusted and highly skilled workmen and tradesmen with whom we have worked closely for many years including structural engineers, plumbers, electricians, carpenters, decorators, carpet and flooring fitters and renewable energy specialists. Because of these established working relationships you can be assured of a fully comprehensive and high standard service whatever your requirements. Building projects represent a significant financial investment and as such we aim to offer excellent value for money with an exceptional quality result. We also appreciate the security that a fixed and agreed price offers so that there will be no unexpected costs incurred throughout the contract, with all this in mind however we are flexible and open to changes in the plans or spec’ should the clients change their requirements. Whilst works are ongoing we take pride in our tidiness and streamlined approach. We leave the site clean and clear throughout all works to minimise disruption both to our employees and our clients. The health, safety and security of our clients, their properties and our employees is paramount at all times and we are careful to minimise any risks of injury or damage through safe practice and rigorous site management. 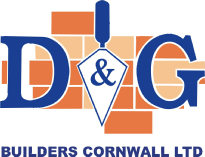 We are proud to say that we at D&G Builders Ltd have had no "lost time" injuries at all since the start of the business.